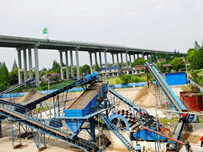 Roller crusher is a relatively old-fashioned crusher machine. Now the manufacturing process is more mature after numerous upgrades and modifications. 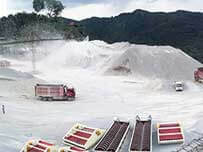 This kind of sand crusher machine has a simple structure, can be medium and fine crushed for medium and soft ore, then enters the double roll crusher for secondary crushing, so that the ore diameter reaches 5mm or less. 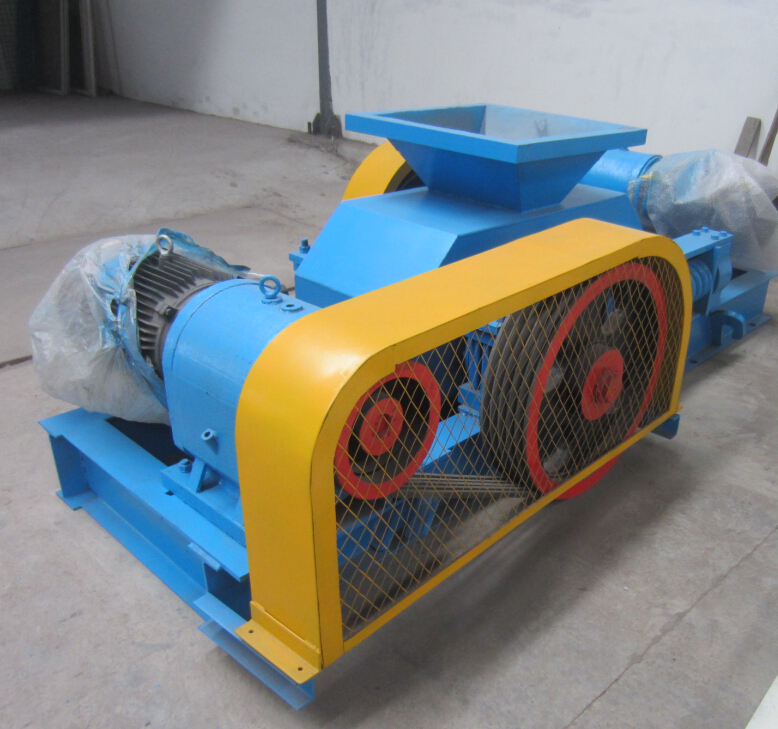 Roller crusher can be used for fine crushing various high and medium hardness ores and rocks in the industries such as mineral processing, chemical, cement, refractory materials, abrasives, building materials, etc., especially in construction materials industry. Roller crusher is mainly composed of roller, roller support bearing, pressing and adjusting device, and driving device. The top end of wedge device is equipped with an adjusting bolt. When the adjusting bolt pulls up wedge, the wedge pushes movable roller away from fixed wheel, that is, the gap between two rollers becomes larger, and discharge granularity becomes larger. When wedge is downward. movable roller is pressed by pressing spring, the gap between two wheels becomes smaller, and the discharge granularity becomes smaller. It is driven by two motors, which are driven by a V-belt to groove wheel and rotate in the opposite direction. 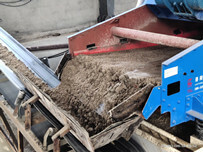 Material passes through roller from feed port and is crushed by rolling when working, and the broken product is discharged from bottom of chassis. 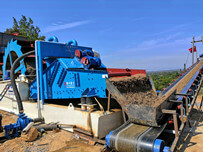 The material falls between two rolls through feeding port and crushed, then finished material naturally falls. In the case of hard or unbreakable objects, the rollers can be automatically retracted by the action of hydraulic cylinders or springs, so that the gap between the rollers is increased, and the hard or unbreakable objects are dropped. Thereby protecting the machine from damage. The two rollers that rotate in opposite directions have a certain gap, and the gap can be changed to control the discharge size of product.